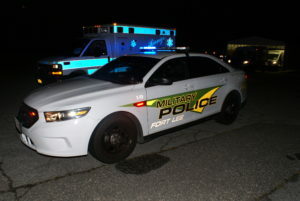 Fort Lee is providing incident base support to roughly 100 emergency medical crews from across the nation. The ambulances remain staged in a motor pool on post, awaiting FEMA’s direction for the Hurricane Florence response and recovery effort. Military installations are called upon to provide facilities and infrastructure in times of disaster, as part of the National Response Framework.